If you're a country girl at heart and love country chic style, you won't have to travel a dusty trail to pick up this exquisite handmade beaded jewelry. Each of the following jewelry pieces feature different cuts of lovely dusty rose rhodonite gemstones. The beauty of this gemstone, along with the grey-to-black inclusions, is truly enhanced with the pairing of freshwater pearls. Each piece is a one of a kind. Pick up one piece or a complete jewelry set! These pieces are also perfect for the bride looking to have a country-chic wedding theme. Please note: If you would like at least three (3) of the pieces listed below, contact me for a 3pc. jewelry set price, prior to checkout. 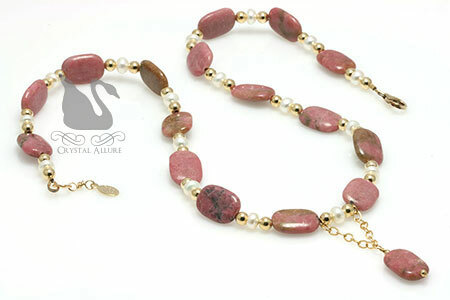 Handmade beaded necklace design features rhodonite gemstone in a soft pillow cut, freshwater pearls, 14 karat gold-fill beads, chain and clasp. I created a designer original pendant bail making this gemstone necklace truly unique! 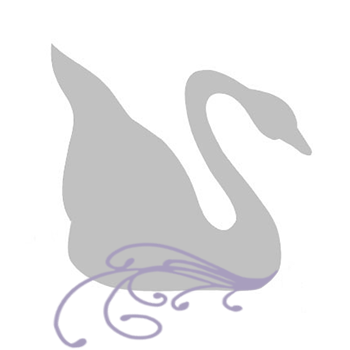 The necklace is a PRINCESS length at 17-1/4" long with a 1-1/2" drop. Pair the necklace with this matching handmade beaded bracelet in the same gemstone cut, design and gold metal. Size is 7-1/2". Rhodonite is Greek for "rose" and it is also the state gem of Massachusetts. These handmade beaded gemstone earrings are designed with barrel-shaped rhodonite gemstones, the same design components as the pieces above and come with 14 karat gold fill ear wires. Length is 1" from the bottom of the ear wire. The last piece in this beautiful jewelry set are perfectly petite beaded earrings at just 3/4" from the bottom of the ear wire. 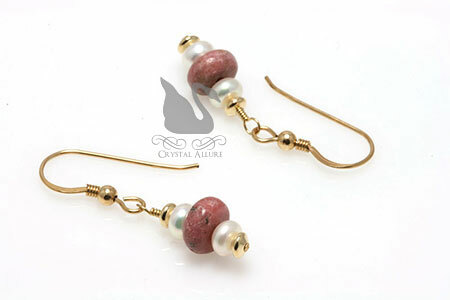 These gemstone earrings are designed with a petite rondelle shape rhodonite gemstone bead, freshwater pearls and 14 karat gold-fill metal and ear wires. 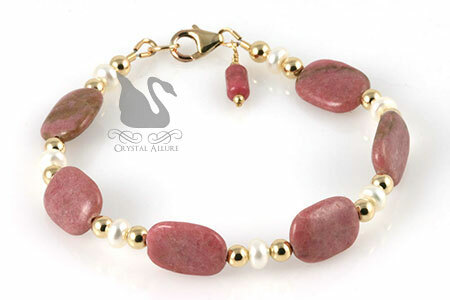 The metaphysical properties of rhodonite have traditionally been used to encourage generosity of spirit. 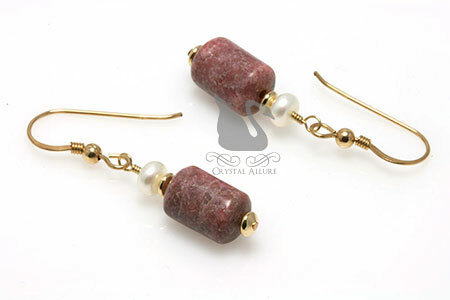 Rhodonite is often mispoken as rhodolite, but these two stones are quite different. Read my jewelry article on Rhodonite vs. Rhodolite.